Experience Olympia & Beyond, Thurston County’s Sports Commission, presents the second annual Sports Awards. Sports enthusiasts and community members are invited to celebrate an evening dedicated to sports! Join us as we recognize Thurston County&apos;s talented athletes, coaches and sports moments while highlighting the impacts of sports tourism on the local economy. 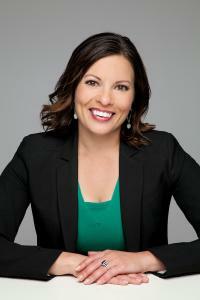 The evening will include dinner, presentation of awards and a keynote by Jen Mueller, CEO and Founder of Talk Sporty to Me, who is also a member of the Seattle Mariners television broadcast on ROOT SPORTS and is a sideline radio reporter for the Seattle Seahawks. Jen Mueller, America’s Expert Talker, is rarely at a loss for words. She pursued a career in sports broadcasting after repeated comments of “talks too much” from teachers and family members. An 18-year sports broadcasting veteran, Jen currently serves as the Seattle Seahawks sideline radio reporter. She is also part of the Seattle Mariners television broadcast team on ROOT Sports. In addition to her work on the sidelines, Jen launched Talk Sporty to Me in 2009 and provides a unique and practical approach to business communication. Jen shows business professionals how to apply the same conversation strategies she uses in sports locker rooms to business settings, so they can become more confident and effective communicators. Jen is the author of three books. The most recent book, The Influential Conversationalist: Conversation skills that develop leadership potential was published October 2017. A life-long sports fan, Jen is also a former high school football official, a passion she discovered while attending Southern Methodist University. Jen graduated from SMU in 2000 with degrees in broadcast journalism and public policy. Awards closed April 9, 2019 at 11:59 p.m.
We are beyond excited to be able to bring attention to our local all-stars, however we can’t do it without you! Olympia & Beyond Sports Commission is looking for local partners to sponsor the event in a variety of unique and customizable opportunities. Please contact Moira Davin at Moira@ExperienceOlympia.com to start the conversation!